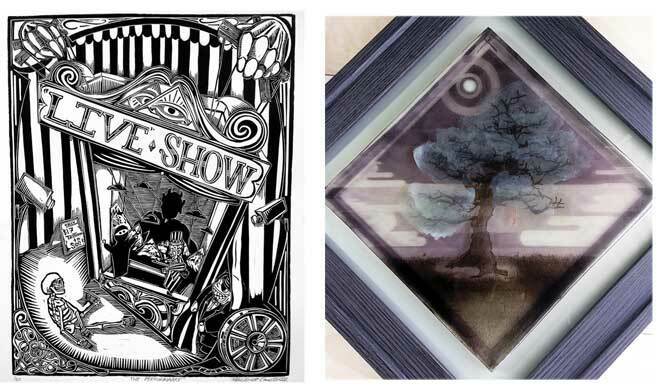 Reception: Friday, May 1, 2015 | 5:00 – 9:00 p.m. 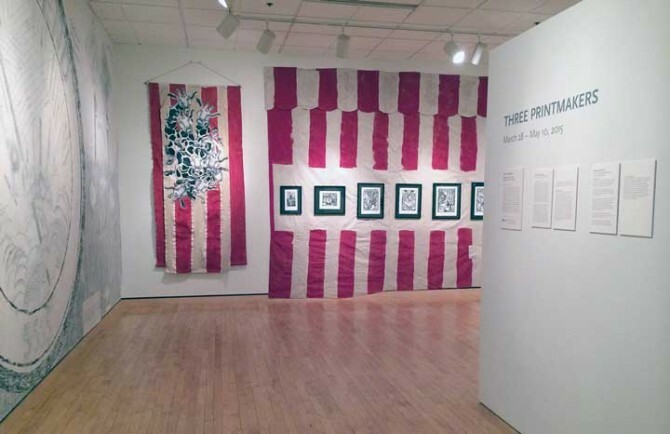 In the summer of 2014, the SBMA hosted, for its eleventh year, a program that provided studio space and critical interpretation to area university art students. This year, the program focused on two residents working with curatorial and education staff as well as a residency mentor. As part of this program, the students and mentor each contributed five volunteer hours per week (over a twelve week period) and gained valuable experience through their work with the museum’s summer programming. This exhibition features the work of Maclovio Cantú IV and Kelly L. Stombaugh (both of Indiana University, South Bend), as well as residency mentor M.T. Searle (Artist, Educator and Administrator). The work in this exhibition is representative of both the residency and work created upon their return to their respective institutions. Cantú will graduate in May 2015 from Indiana University, South Bend with a B.F.A. in Printmaking. Stombaugh graduated from Indiana University, South Bend with a B.F.A. in Printmaking in 2014. M.T. Searle works between South Bend, IN and Chicago, IL.